The PM 38 Club is for all those Boats (and their Owners),which were built using the Free Boat Plans that were published in magazines such as Popular Mechanics, Popular Science and the Boat Builder Handbook. "Saucy Shingle" / "Tiny Titan"
Have You Built a Boat from any of these Plans? By the end of the nineteenth, beginning of the twentieth century long before the advent of television and before the internet was even thought of, news was principally promulgated via newspapers. Most newspapers however still only catered to local audiences. An increase in printing and distribution efficiency as well as a growing demand for more national information led to the emergence of mass appeal magazines, particularly those which catered to the readers increased leisure time. And publishers who were able to capture and keep the public's interest also gained from increased advertising revenue. Two of America's most popular magazines, both of which are still being published today were Popular Science founded in 1872 and Popular Mechanics first issued in 1902. Their popularity sprang from their formula of straightforward reporting on scientific and mechanical developments, prescient journalism and DIY how to articles. 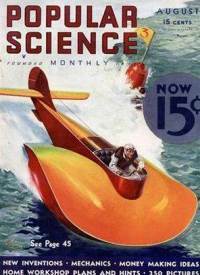 Initially Popular Science was a pure science magazine but in 1916 it moved with the times to add full-color covers extended the focus of its coverage and began including advertising. Both Magazines are still being published today and both, naturally enough, have their own websites where you can subscribe and where the entire run of back issues can be viewed. 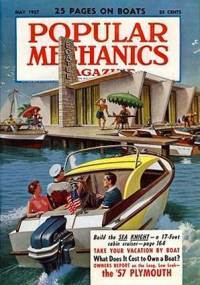 You can visit the "Popular Mechanics" website here. And the "Popsci" as it now calls itself here. Or you can view all the back issues on line at Google Books. 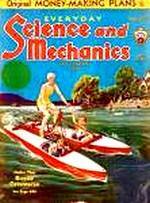 Google Books is currently hosting "Popular Science" magazine and "Popular Mechanics" back issues in their archives which you can browse through online. As well as telling their readers about all the momentous inventions of the era, they also gave them plans on how to create some of them. 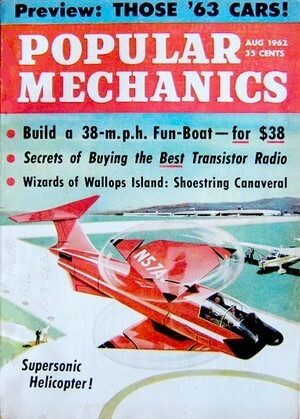 Popular Science for instance included an article on how to build a Laser..(and I don't mean the sailing boat). While some of the plans might seem a trifle off beat to us today, they did publish several timeless plans and instructions for the handyman. 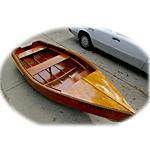 For instance, Popular Science in February 1972 published pans on how to build a wood strip Trail Boat, a stripper canoe in two parts for car topping. One of the most enduring set of plans appeared in the August 1962 issue of Popular Mechanics. It was the PM 38 13ft runabout. . 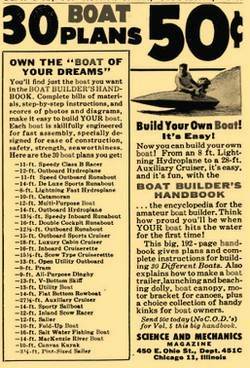 The appetite for Build It Yourself Boat plans was such that books of plans were also published containing plans for everything from Hydroplanes to Sailboats, Runabouts to Canoes and a few 'wacky' ones in-between. I have put together a collection of the best of these plans here, which can be downloaded for free. Plans for the PM-38 first appeared in the August 1962 issue of the Popular Mechanics magazine. It was named the PM 38 because the magazine claimed that it could, not only be built in 38 hours, for a materials cost of a mere $38 but would, when launched, do 38 mph. 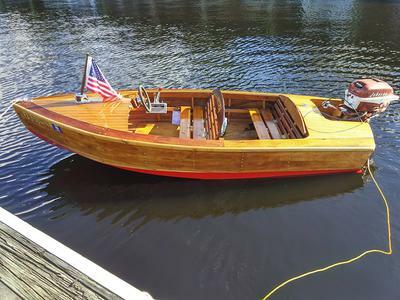 Mark, from Harpers Ferry in West Virginia, tells how he built a “Popular Mechanics PM-38” just like the one his father built back in the early sixties. 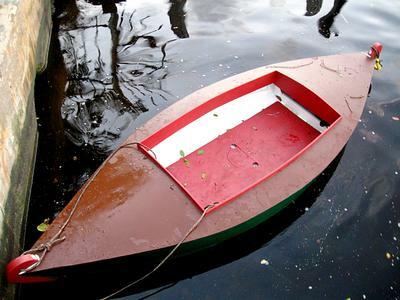 As he says the Popular Mechanics magazine gives you just enough information that you can build the boat directly from the magazine without any of the larger plans. And despite the fact that he "had never built a boat of any kind before" have a look at what a wonderful job he has done on her. Then scroll down to the comments. Read how Carl and his "oldest son (ten at the time) and I built the PM38 1n 1963. No particular problems that I remember". How Greg and his Dad and built a PM38 around 1962. And then there is Robert who is building one now. "Damm Yankee", built in 2009, is the second PM-38 to be built by Russell. He built his first PM 38 in 1962 when he was 19 years old. Russell built his first PM 38 in 1962 when he was 19 years old. Nearly 50 years later "Damm Yankee", is his second PM-38, built in 2009. "It is still fun and the memories continue to grow." Carl Mouton from Durban in South Africa built a PM38 in 1962 when he was working in Aden. Now that he has retired and has found the plans again he may just build another one. You can download a FREE version of the plans here. Have you have built a PM 38? Or are you considering building one? Eddie Gregory in Ireland has built a 60's Sea Hawk. 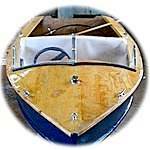 This is one of many designs published in the Boat Builder's Handbook. Although not a PM plan she still deserves a mention in the PM 38 Club. "Little Sanity" is Matt's first boat build. 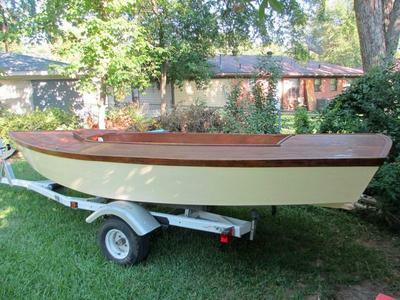 She is being built using the free "Mustang" plans from the Boat Builders Handbook and is another boat that deserves a mention in the PM 38 Club. "Although she is not 100% finished, my youngest son and I just had to get it on the local lake while the fishing was still good. 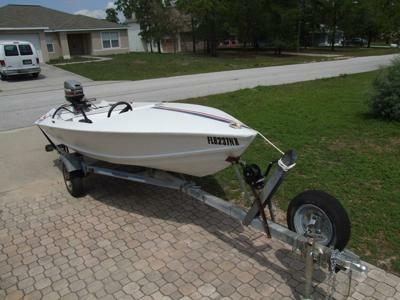 This little boat performs really well for what it was intended, and I had lots of fun building it." 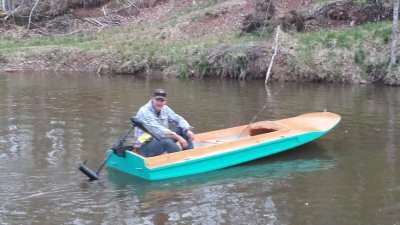 He has now built "Bill Collector" a 12 foot duck boat from the "Sneakbox" plans found on the Svenson's Website. "Li'l Tipsy" is a superb version of 12' Mustang built and now being restored by Dean in Jacksonville, Fl. 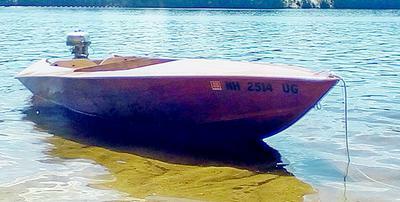 And Bryon thinks that his 1956 12', homemade, row boat may also have been made using the Mustang DIY plans. 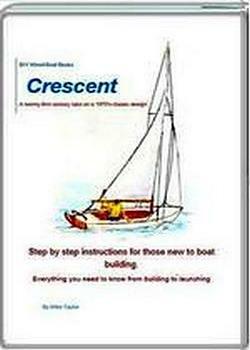 "Jewel" is a 16' Crescent Sailboat being built by Mike Allen from the plans by C.T .Allen in the 1958 "Boat Builders Handbook". Another that deserves to be in the PM 38 Club. You can download the FREE plans here. 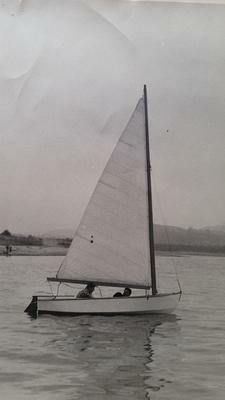 When Ron was 14 year old, in 1953, his dad helped him build this 12 foot sail boat using plans from Mechanics Illustrated. She looks very much like “Breeze-Baby”, see and download her Plans here. Pintail drawn from plans by Wm D Jackson is another from the Boat Builder's Handbook. This one is being built by Greg Allore using the downloaded plans from Svensons.com that deserve to be in the PM 38 Club. The plans can still be obtained from Glen-L.